Life coaches are powerful supports in helping clients achieve their greatest dreams! Everyone wants to live their dream life, and if it were easy to realize and achieve our goals on our own, we’d all be living our dream lives right now! This is where a life coach comes in – I help facilitate the process of people transforming their own lives. Life coaching is not therapy (which is often long-term and very expensive), and it’s not about analyzing the past. Life coaching is also not about focusing on troubling external life circumstances or healing trauma. Instead, it’s about showing a client there is a power within them far greater than any circumstance or condition, and that they have very real choices in how to use that power to transform any areas of their life including health, abundance, vocation, and relationships. While we know that our greatest power comes from within, we also know how challenging it can be to really see and understand that truth without the guidance of another person. This is why a high quality life coach – which will come at a quality life coach price – will go above and beyond at helping a client find that place of power within them. Many of us often feel stuck, experiencing longing and discontent in at least one area of our lives – but don’t know how to address the roots of these feelings in order to create meaningful and lasting change. As a qualified, reputable, heart-centered life coach, I can help you understand why you are stuck and then work through these obstacles with you. And the truth is much of this longing and discontent comes from not knowing yet what we’d most like to be, do, have or give in this life… even though we feel a desire and drive rising up in us to do something different and amazing! So many highly motivated people get stuck in life because they have trouble identifying their greatest dreams, even though these dreams live somewhere deep inside of them already. An extraordinary life coach will help illuminate and clarify these desires, and then guide their client along the steps necessary to transforming them into reality. Once a client is able to clearly identify their goals, it still takes immense drive and discipline to take action to achieve them. Wouldn’t it be so nice to have someone walking alongside you, cheering you on and keeping you on track? Helping you set incremental goals, holding you to complete them, and then celebrating you when you do? Wouldn’t it be great to have a partner who helps you bounce back from setbacks without getting discouraged and with even more vitality and perseverance? Who helps you see that insurmountable roadblocks are often just limiting beliefs that can be easily overcome? How good would it feel to have someone on your team to keep track of all of the progress you are making – which can often be hard to see when a long journey is taken in many small steps? Anything is achievable, but we all need strong advocates beside us, and that’s why the kind of support that a life coach provides is truly priceless! What would it be worth for you to be able to make a decision about something, commit to it, and follow through with it in order to achieve your greatest dreams? Or in other words, what would you be willing to invest in order to get the results you are looking for? To transform and shape your life into exactly what you desire? Many of us tend to get caught up in the cost of things, rather than the value. This mindset can be a limiting belief, and may even represent a limiting belief you have that is revealing itself. When we are deeply aware of the investment we have made and the value we are getting, we are more likely to follow through with our goals, because we have spent hard-earned money to invest in the most important thing we can: Ourselves. When someone chooses to make an investment in themselves by means of investing in a program with me, they are showing commitment and dedication to their growth and to creating a life they truly love living. I have a limited number of appointments available and they often book up quickly, so if you're interested in coaching and you'd like to schedule a complimentary strategy session please contact me . 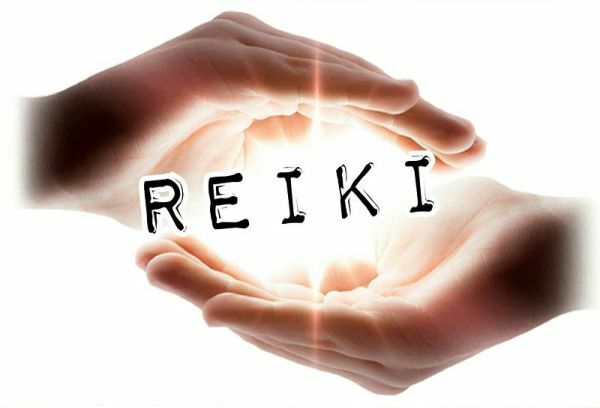 Reiki is a safe and gentle form of healing that promotes stress-reduction, relaxation, boosts the immune system, and helps you achieve physical, emotional, mental and spiritual balance. Whatever you are seeking Reiki for, you will find, in addition, peace, balance, and a sense of wellbeing that will put a smile on your face. Reiki sessions are 1 hour and done in person or over the phone using long distant healing. Reiki Healing Energy is sent using the Master Reiki Symbol and the Distant Reiki Symbol with love and focused intention for each individual client and their needs. You will need to find a quite space where you will not be disturbed during this time. If you are interested in a Reiki Healing Session please contact me . An Intuitive Tarot Session is a great way to get insight as to where you are, how you got there, and where you are headed. The Tarot does not predict your future, as your future is changing all the time, because it is dictated by your thoughts and emotions. The Tarot can however, tell you the probable outcome if you continue on the same path. With this awareness, you can choose to change your course of direction, if you would like a more favorable outcome. 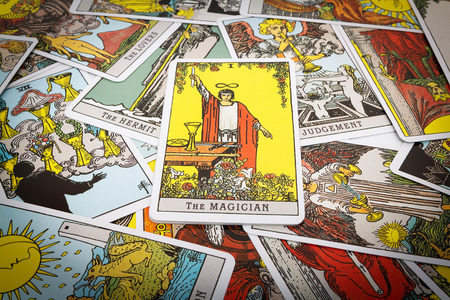 Intuitive Tarot Sessions are given over the phone and last for 45 to 60 minutes. It is recommended you choose a quiet space where you will not be disturbed. If you are interested in an Intuitive Tarot Reading please contact me .